This is a round Robert B. Doe Oil Field porcelain sign. This particualr Robert B. Doe Oil Field sign is yellow with black print. 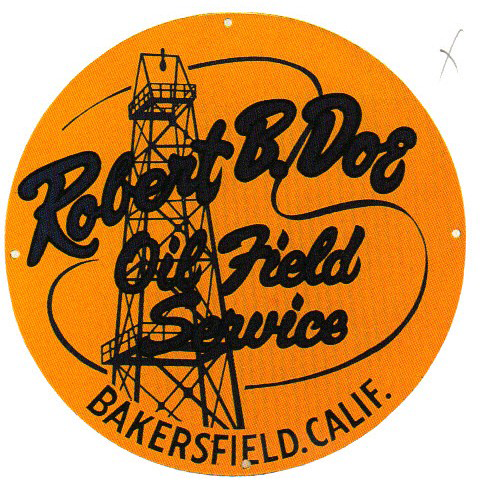 It reads, “Robert B. Doe, Oil Field Service, Bakersfield, Calif.” and features a black oil tower in the center.